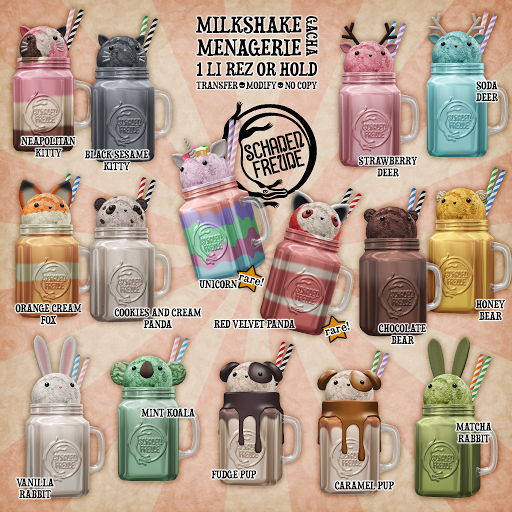 A menagerie of milkshakes for SaNaRae! 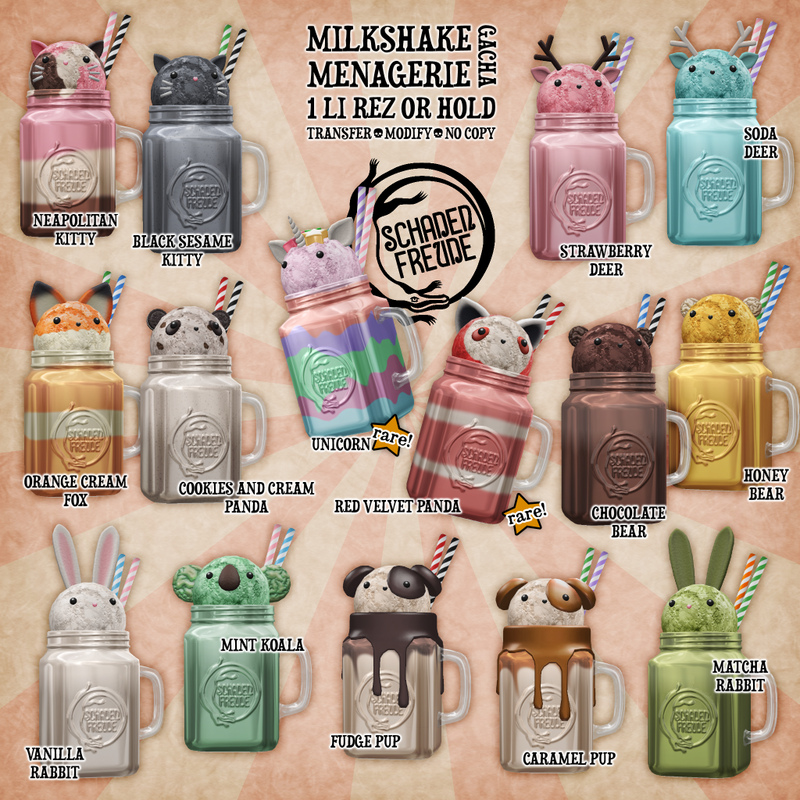 Each milkshake is topped with a big scoop of ice cream dressed up with sugary treats into an animal. 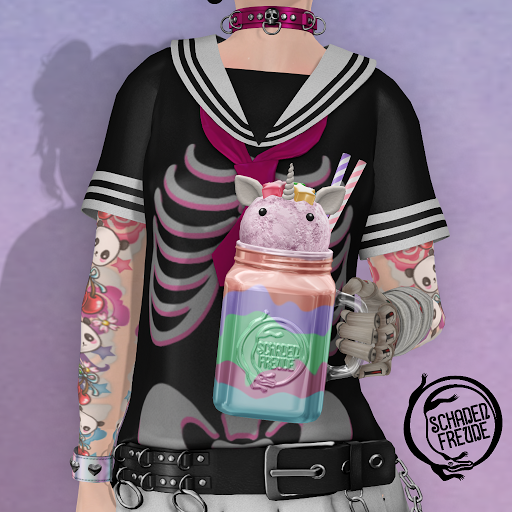 1 LI to rez for decor, they can include a bento (fingers) hold for the left hand. Striped milkshakes require a little bit of skill in pouring- you want to use something like the back of a spoon to direct it! 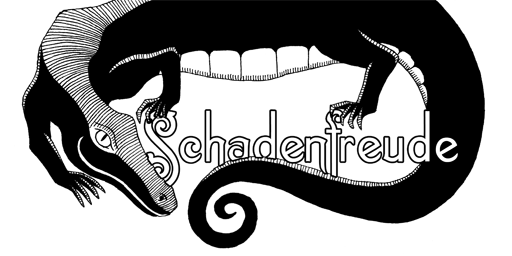 At SaNaRae from February 26 at 7pm SLT to March 16.